Roof termination adapter and support clamp for 4"/6" Innoflue concentric vent pipe. 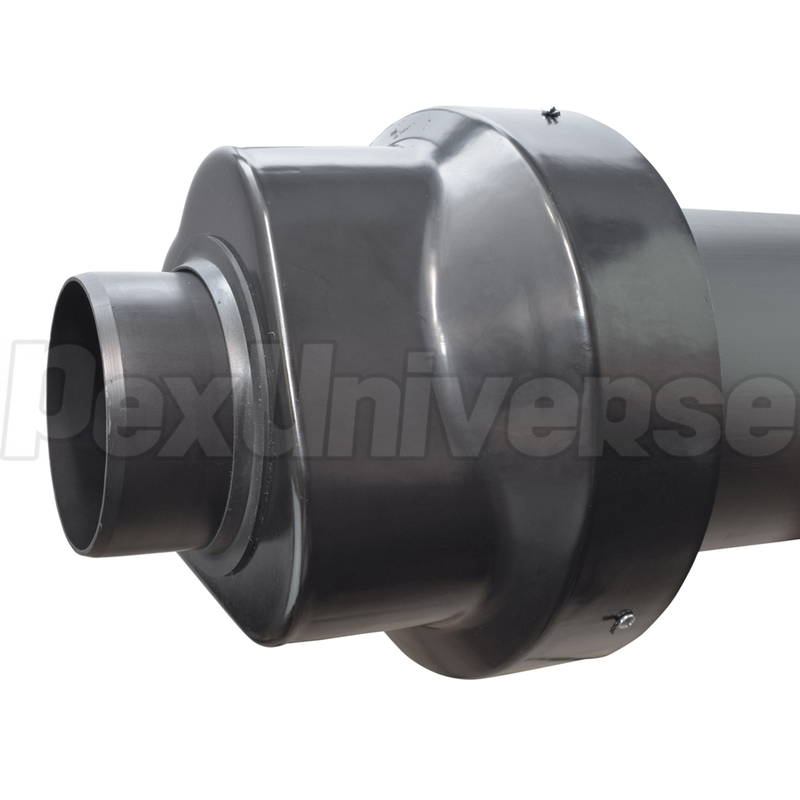 Incorporates flue exhaust and air intake into a single unit. Can be converted to SW (Single Wall) piping using ICTC0446 adapter. Overall length: 78.7". Length of concentric pipe below the "roof line: 23.6". 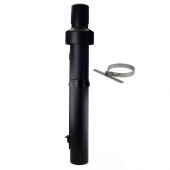 Installs in combination with roof flashing where applicable (flashing ID = OD of concentric pipe). UV resistant, black color.